Eh, that doesn't work. Alex and Izzie don't lend themselves well to couple nicknames. But people seem to like them as a couple. Some people, at least. Wonder what Cristina's up to here in this photo from "Rise Up," from the fifth season of Grey's Anatomy. Guess we'll have to wait and see! What could Cristina be up to in this photo from "Rise Up," from the fifth season of Grey's Anatomy? We'll have to wait and see, but we're pretty sure she'll make it funny. Drs. 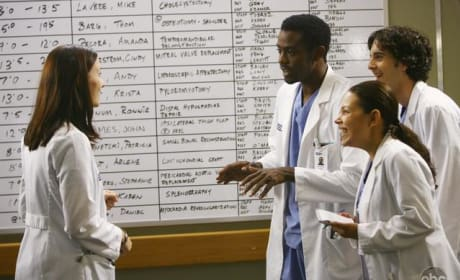 Alex Karev (Justin Chambers) and Cristina Yang (Sandra Oh) do their thing - and surely exchange barbs - in a photo from "Rise Up," from the fifth season of Grey's Anatomy (Fall 2008). 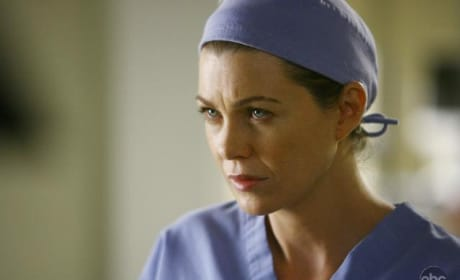 Meredith Grey (Ellen Pompeo) looking serious in a promotional photo from "Rise Up," from the fifth season of Grey's Anatomy (2008). 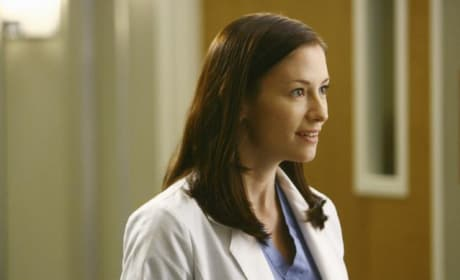 Lexie Grey looks as cute as ever - and is surely stirring up trouble - in a promotional photo from "Rise Up," from the fifth season of Grey's Anatomy. 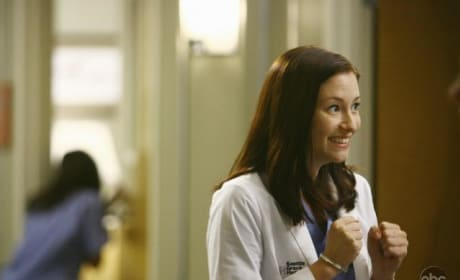 Lexie Grey, Seattle Grace intern and sister of Meredith, sure looks excited about something in a promotional picture from "Rise Up," from the fifth season of Grey's Anatomy. Or at least fellow interns. We can only wonder what Lexie Grey is up to in this promotional shot from "Rise Up," from the exciting fifth season of Grey's Anatomy. Drs. 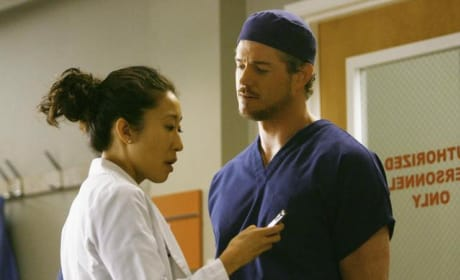 Cristina Yang (Sandra Oh) and Mark Sloan (Eric Dane) in a promotional shot from "Rise Up," from the fifth season of Grey's Anatomy. Mark Sloan (a.k.a. 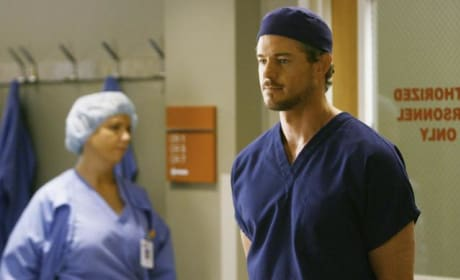 McSteamy) looks on in a promotional shot from "Rise Up," from the fifth season of Grey's Anatomy. 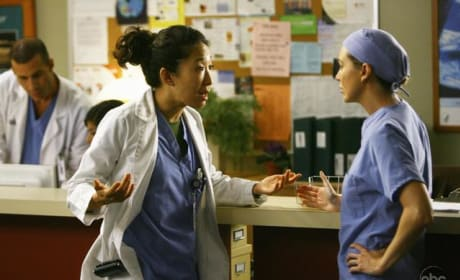 Cristina Yang and Meredith Grey in a shot from "Rise Up," from the fifth season of Grey's Anatomy. We'll see what this episode has in store! A nice photo of Meredith and Alex from "Rise Up," from Season Five of Grey's Anatomy. What they're talking about, we'll have to wait and see. George: We're operating on robots now? Alex: Can we please go back to pigs. Cristina: Yeah, what about people? Miranda: Well when the Chief decides which one of you gets to do the first solo surgery, you'll wanna be ready. I do not know what it will be, I do not know when it will be. I do know that the winner should be prepared to do any surgical procedure and will choose one intern to scrub in. So practice your skills, impress your attendings, and do not make me look stupid.